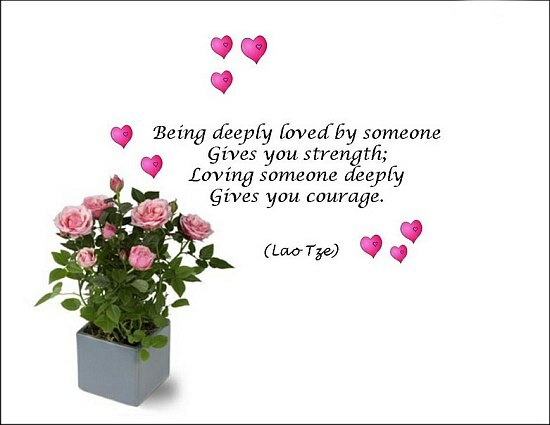 Being Loved, Courage, Lao Tzu, Love, Strength. Being deeply loved by someone gives you strength, loving someone deeply give you courage. - Lao > Love Quotes with Pictures.